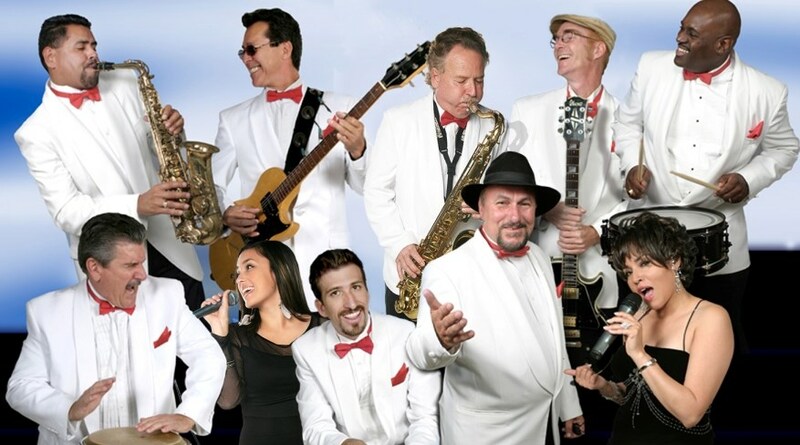 BREEZ'N, San Diego's Variety Band, is a fun loving, entertaining, dynamic and versatile DANCE PARTY BAND that performs a VARIETY of standards, classics, and contemporary music. Our Instrumental and vocal versions feature jazz, blues, R&B, rock, pop, swing, disco and latin styles from the 1960s through the present. 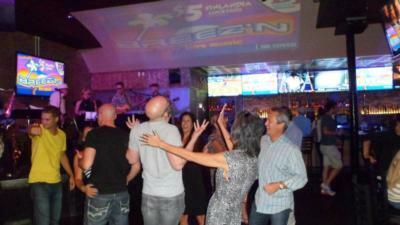 Since 1995, BREEZ'N has performed for hundreds of public, private and corporate events. Our award winning service, extreme versatility, extensive songlist, audience rapport, talent and showmanship including state-of the art sound system and lighting effects makes Breez'n the perfect choice for any event. Our unique variety can allow us to perform as a three-piece jazz combo and up to 9pc jammin' show group. Each performance is individually customized to the clients needs and wishes. Breez'n's music, showmanship, and energy has entertained audiences of all ages. Please contact us for more details. Breez'n was the perfect band for our wedding reception. They played great cover songs, including several songs we requested and we danced all night. They have an extensive song list which gave us many options and they were great at reading the crowd. They were dressed sharp and on time. Working with them was a ... breeze. Breez'n lit up our wedding! We had a small group of 45 guests and a lot going on, but Breez'n brought life to the party. The Sax player even mingled with and serenaded the guests, and they were all incredibly professional, well dressed, and very fun. We would highly recommend breez'n to all our friends and for any weddings or events! Breez'n played for our 5 hour wedding reception and the dance floor was packed with family and freinds the entire time!! Their experience shined through each song and genre played, and they really brought a wonderful energy to our special event. The band members were very accomodating, played a great mix of classics and new hits, and even went out of their way to learn a couple of requested songs for our first dances (which really sounded beautiful)! We really had fun with them, the sax and vocalist even came down to jam with the crowd on the dance floor at times. Thanks, Breez'n, for making our wedding day an amazing and unforgettable party! The band was great! Everyone really enjoyed the music and had a wonderful time. They are very talented and interacted with the crowd. We will definitely hire Breez'n again! I would highly recommend them. Very professional! The band was fantastic! They performed as a trio for my opening reception - some very nice smooth jazz and then smooth jazz during dinner. But when it came time to dance, they brought out great tunes for our guests to dance to. Everyone complimented the band - they were all terrific! I highly recommend them. Fantastic band! Backyard birthday party for moms 60th. Band had everybody dancing in the grass! They were excellent. Came on time. Played great music. Very friendly towards guests. Nice folks. I received a lot of good comments about them from my guests. The Breez'n managers quickly replied to all my questions and accommodated all of my request. They met with me and personally checked the venue before the event. They made the birthday party of about 130 people a huge success. Everyone wanted to how I found such a great band. The band members met all the guest and added a personal touch to the event. They played the all the song selections I requested and adjusted to the mood of the party. They became part of the party. I would highly recommend using a live band and I am extremely pleased with the Breez'n team and their performance at my event. We had a 250 guest venue and there were people moving tables out of the way to make a dance floor. Our guest started dancing literally were they sat. Thanks BREEZ'N!! Please note Breez'n will also travel to Poway, Rancho Santa Fe, Escondido, Del Mar, San Marcos, Santee, Solana Beach, Cardiff By The Sea, La Jolla, Encinitas, El Cajon, Lakeside, Ramona, La Mesa, Carlsbad, Vista, Lemon Grove, Spring Valley, Oceanside, Valley Center, Alpine, Coronado, Bonsall, Lincoln Acres, National City, Bonita, San Luis Rey, Chula Vista, Pauma Valley, Jamul.